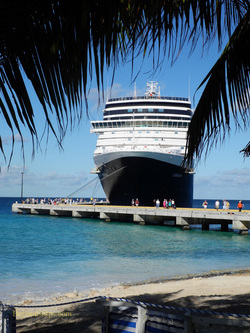 Above: Noordam docked in Grand Turk. 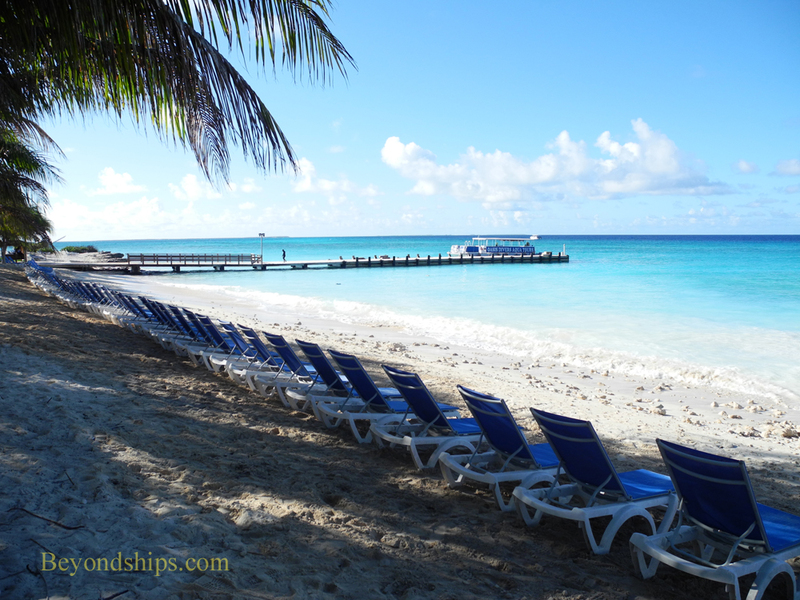 The beach is literally at the end of the pier in Grand Turk. Above: The pier is angled so that it is a relatively short walk ashore. The ship is Eurodam. Above: The welcome center at the end of the pier. 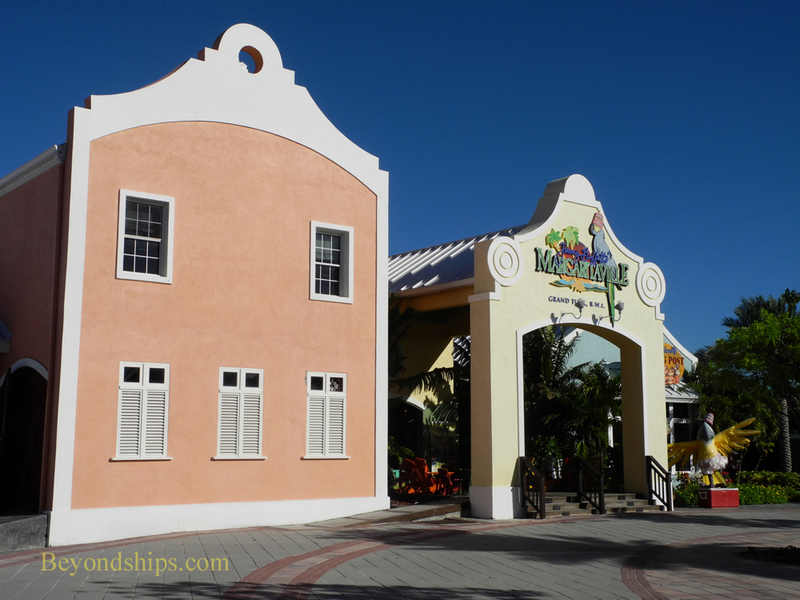 Below: On the other side of the welcome center is a large plaza that is the center of the cruise complex. 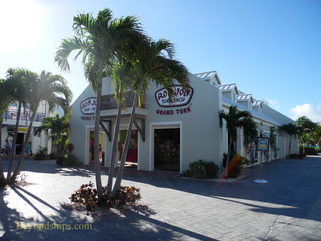 Grand Turk is rare in that one of the island's most popular attractions is its cruise port. 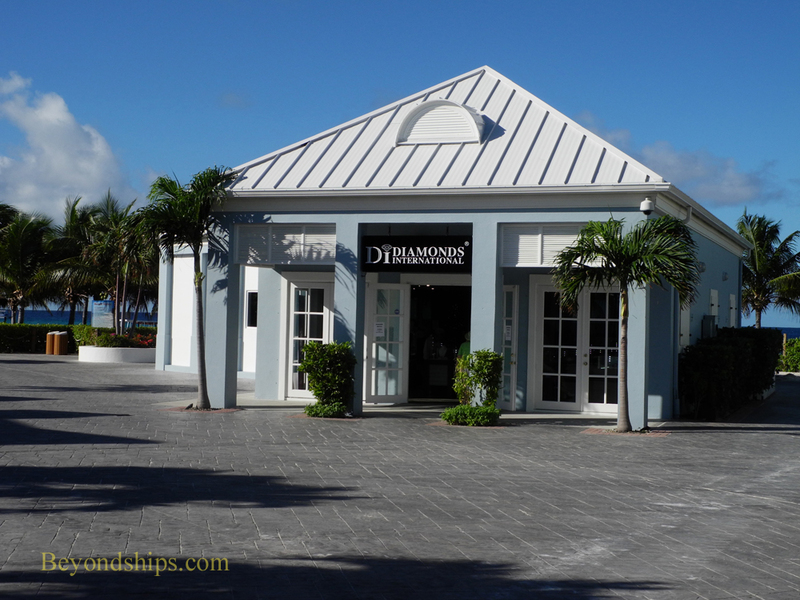 However, after a reported $60 million investment by Carnival Corporation, this 18-acre site has become a first class Caribbean beach and shopping venue. 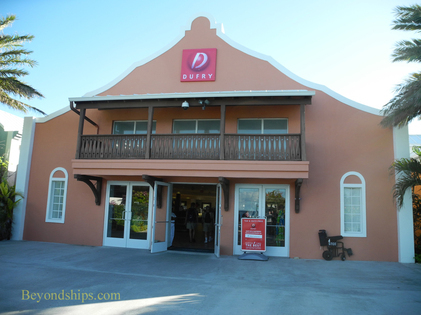 The Grand Turk Cruise Center is located on the southwestern tip of the island. 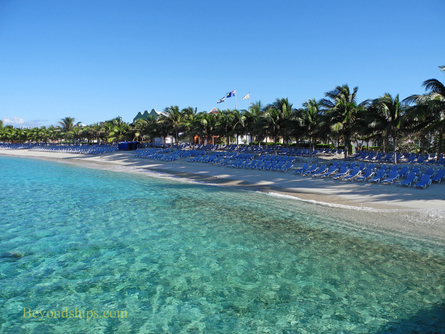 Since the island is surrounded by shallow reefs, docking at Grand Turk can be a real challenge for mariners if there is a strong wind. The cruise center has a single 3,000 foot long pier. It is capable of handling two ships the size of Queen Mary 2 simultaneously. It is approximately 390 feet from where the ship's tie up to the welcome center at the end of the pier. This building houses not only the security check point but also a tourist information desk and a number of shopping stalls. On the other side of the welcome center is a large plaza. 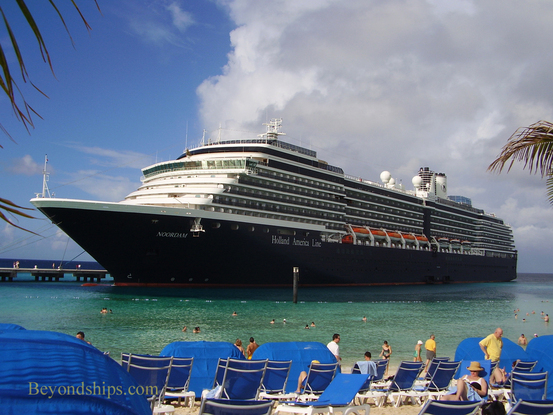 It is here where guests meet for the shore excursions that they have booked onboard the ship. 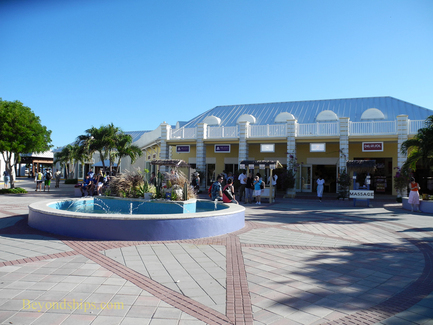 The plaza also provides access to the shops recreational facilities and bars and restaurants that are located at the cruise center. 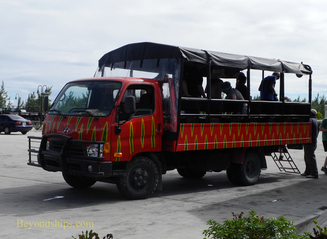 On the far side of the complex is a parking lot where the vehicles for shore excursions gather. On either side of the pier are white sand beaches with crystal clear water. To the right as you walk from the ship is South Beach (above left). It is considered the quieter of the two beaches. The beach on the left is sometimes called Sun Ray Beach (above right). It is closer to the other recreational facilities in the complex. The chairs on both beaches are complimentary. Guests can also rent clam shells and private cabanas. Snorkeling equipment can also be hired. 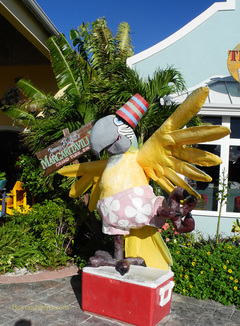 If you are not looking to spend the day at the beach, the cruise complex is also the site of the world's largest Jimmy Buffet Margaritaville bar, restaurant and shop. (above and below). 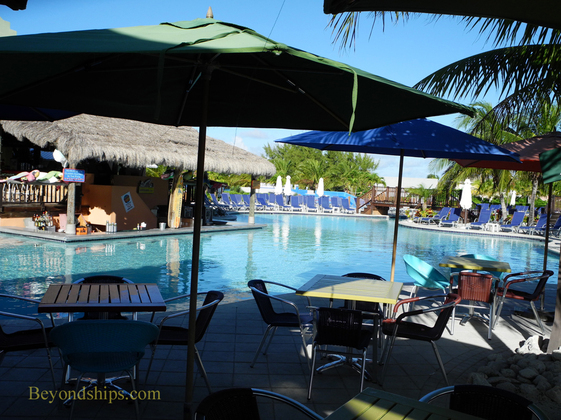 Adjacent to Margaritaville is a large salt water swimming pool (above). 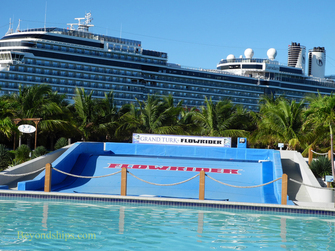 There is also a Flowrider surfing simulator (left). 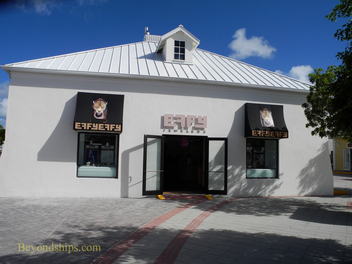 For those interested in retail therapy, the cruise complex has numerous shops most of which have internationally-known names. 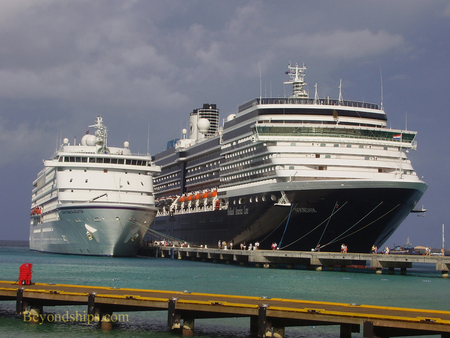 Below: Seven Seas Navigator and Noordam in Grand Turk.